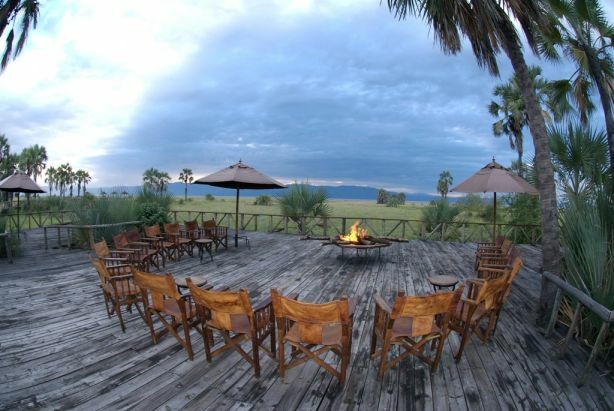 This Maramboi Tented Camp is a unique opportunity to experience and explore the Tarangire and Manyara ecosystem. 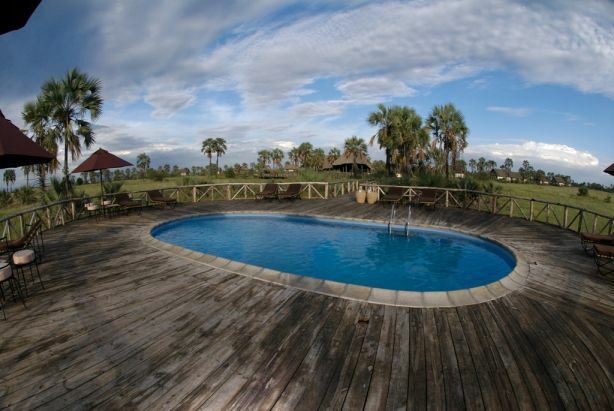 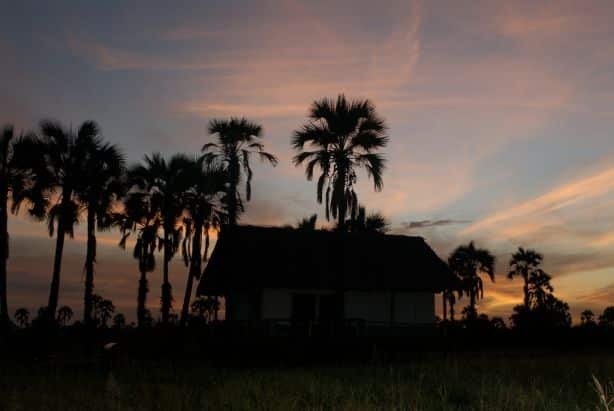 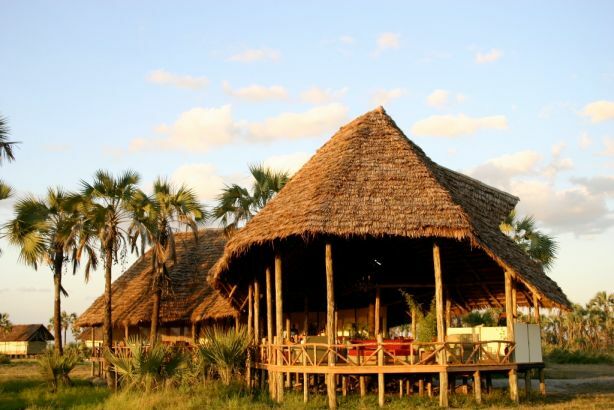 Maramboi Tented Camp offers permanent camp facilities and endless vistas of rolling golden grasslands and palm lined desert between Tarangire and Manyara Lake. 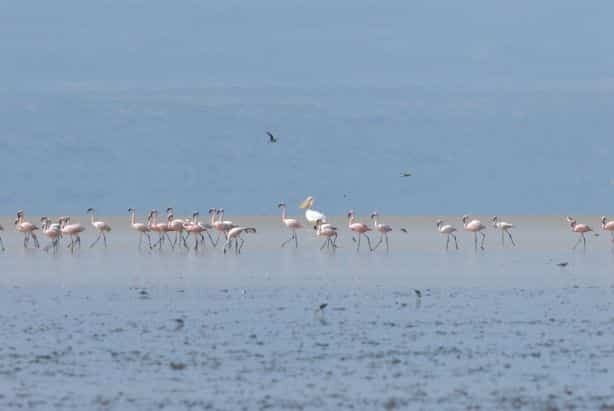 A visit to the area is essential for anyone interested in evolution and the origins of Mankind and an explanation of the Rift Valley and Africa’s big picture. 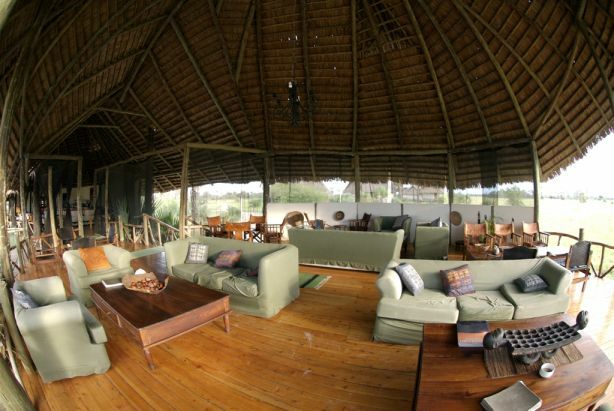 It is a complete semi desert experience focusing on game drives. 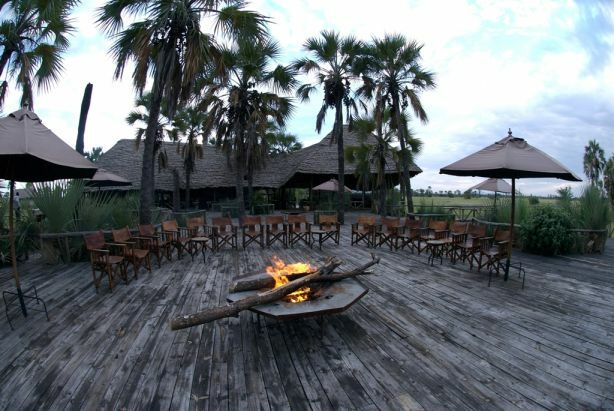 Maramboi main house at night, a campfireIn the wet season, the Manyara and Tarangire Pans fill with water which attracts huge flocks of flamingos and other wading birds. 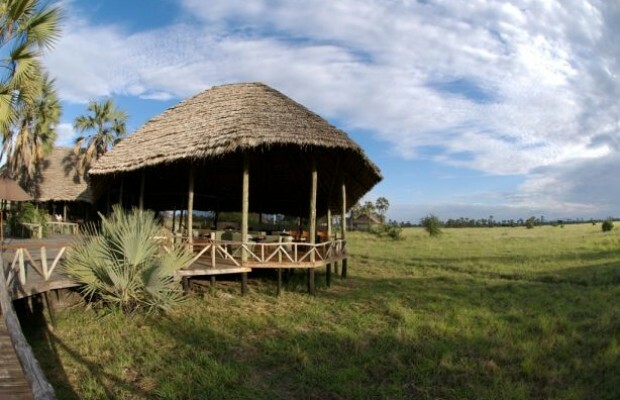 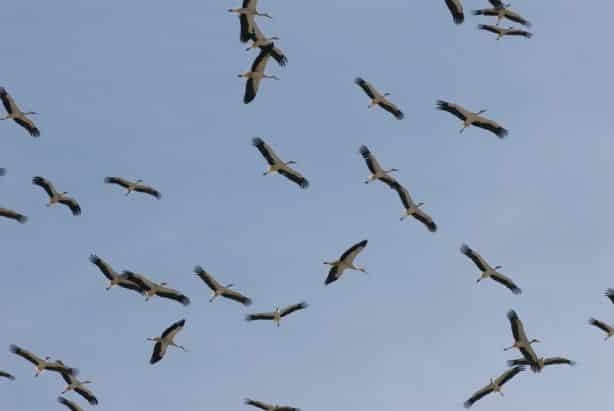 The area is also the only place in East Africa where one is often able to see the migration herds of tens of thousands of Wildebeest and Zebra, followed by predators. 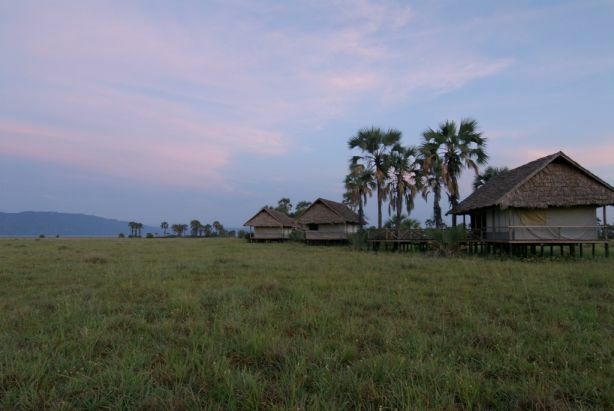 Although the migrations do occur in other areas of Tanzania, the tree cover prohibits a view of the magnitude that you are able to see at Maramboi Tented Camp because of the exposed nature of the surrounding grassland.